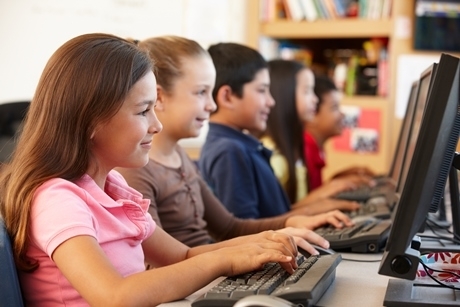 We look at five school trip ideas to teach children about computers, technology, and cyber safety. With technology improving every day, the importance of teaching the younger generation about how it works and more importantly, how to use it safely, is paramount. To coincide with Computer Learning Month and Cyber Security Awareness Month (October), we focus on five attractions that offer curriculum-linked computing sessions. LEGOLAND Windsor Resort offers a wide range of workshops, all centred around LEGO, of course. The Computer Design session is suitable for Key Stage 2 and 3 students and ties in with Computing studies back in the classroom. During the workshop pupils will build and programme their own interactive LEGO model. As well as having fun, children will learn about computer jargon, imputing data and programming. Bletchley Park in Buckinghamshire is the home of the World War Two codebreakers, who deciphered the German Enigma code and worked solidly towards the war effort. Not only does a visit tie in with History and Maths, but it also links to Computing. It was here that Alan Turing developed the first computer system, which the codebreakers then used to crack the Enigma. Examples of workshops include Codes & Ciphers, Decoding Bletchley Park, and an Online Safety Outreach programme is also designed to encourage safe computer and internet use for all ages. A visit to The National Museum of Computing, also based within the Bletchley Park compound, can tie in with Information and Communication Technology (ICT)/Computing, Design & Technology, Maths and History. The museum allows students to learn more about the history of computers and immerse themselves in the research dedicated to them. Learning sessions are available to book to coincide with your visit, including activities which cover topics such as programming. Visit Alton Towers in Stoke-on-Trent and experience an Information Technology workshop, suitable for Key Stage 3 and 4 students. This session looks at the digital systems used to keep the park running successfully. Also for Secondary students is a new talk called Computing - Creating Galactica which focuses on how computers and technology are developing the way in which rollercoasters can be designed and built. The Centre for Computing History, in Cambridge, includes interactive exhibitions, educational workshops and plenty of events throughout the year. For Key Stages 1 & 2, a Computing workshop looks at programming and solving problems through digital devices. Pupils will also learn by looking at machine displays from over the years. For Key Stage 3, students will look at connecting devices and binary numbers. Key Stage 4 students will look at algorithms and programmes, as well as system architecture and data types, as well as the impact that computers and the internet has had on society. For more information about staying safe online and Cyber Safety Awareness month, visit www.staysafeonline.org/ncsam.